So let me just go ahead and be real...my track record for furniture upcycles/hacks/makeovers or whatever you want to call them has not been good. Basically everything that I have painted, or tried to give a "makeover" almost always ends up in the dusty dark garage where they will never be seen again until a nice lady on Craigslist wants to buy them. I recently heard about the Tarva Ikea dresser and I thought well mayyyyyyybe I could give this furniture thing one more shot. It comes pre-sanded, which makes it the perfect ready to go blank canvas! It's the perfect height for a child's room. It's not too tall, it's not too short, it's just right. So I made a trip to Ikea, picked up the dresser and was hoping I would do something with it that I actually liked and wanted to keep in the house. Over the weekend I headed to Lowe's where I picked up all the painting supplies. 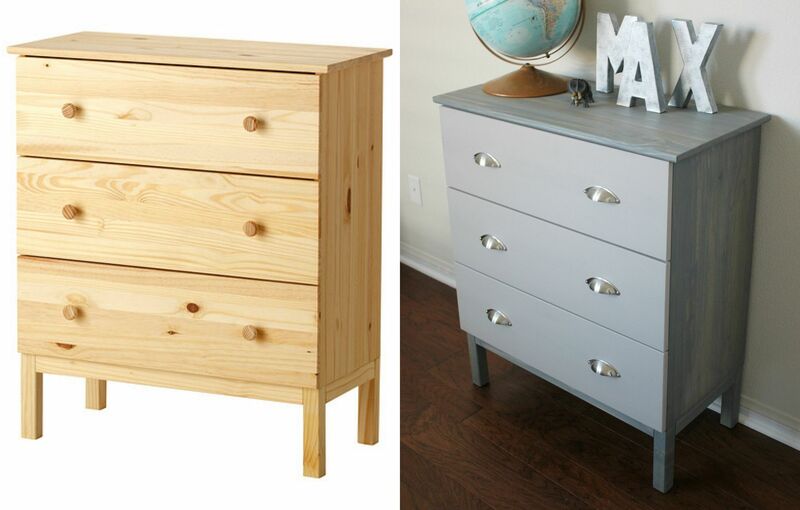 Put the dresser together, remove the old knobs and take out the drawers and set aside. This makes it easier to figure out what you are painting. Stir up the can of wood stain before using. Apply the wood stain everywhere but the drawers. 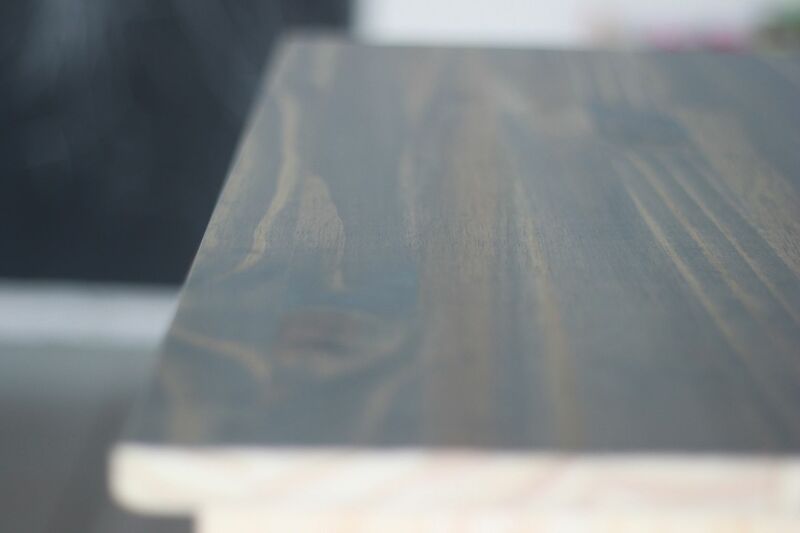 When applying the stain make sure you apply evenly and go WITH the grain of the wood. I learned this lesson by previously screwing up other projects. 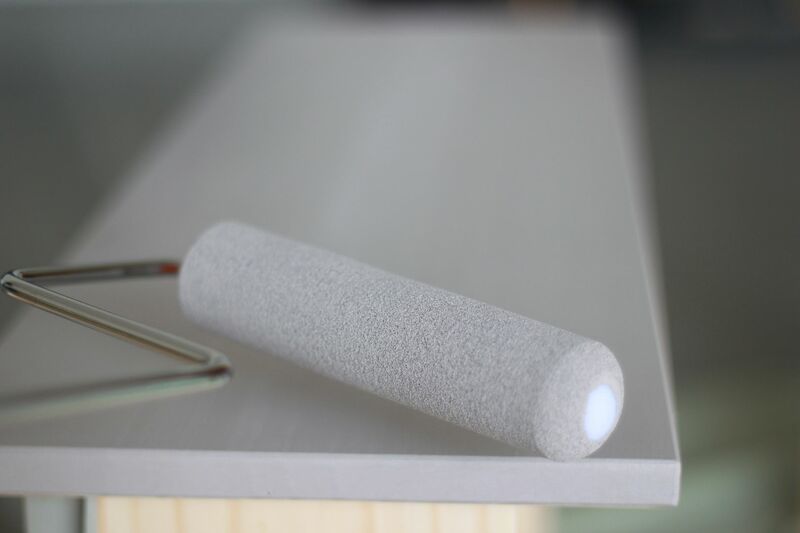 Once everything but the drawers have been stained, paint your drawers using a small paint roller. I did two coats. For the drawer pulls, I used the existing hole from the old knob and then drilled (okay my husband drilled) a new hole next to it so the new hardware could attach properly. 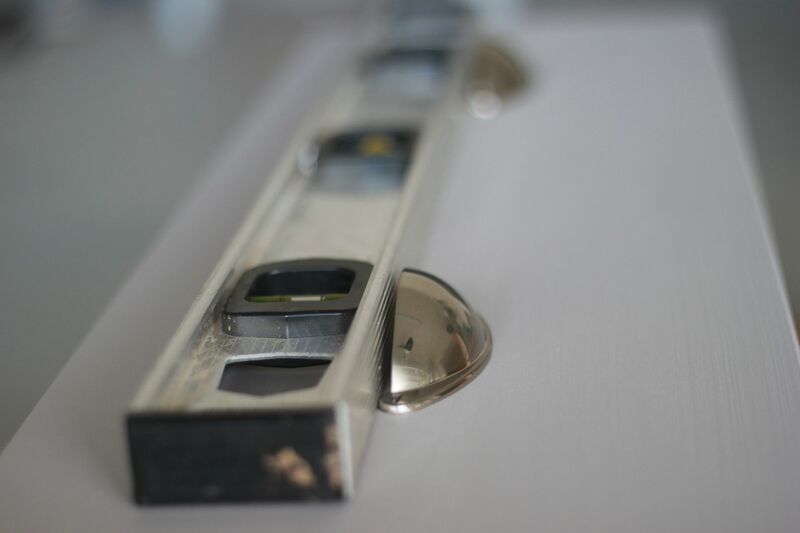 Use a level to make sure your drawer pulls are even. Let everything dry for about 2 hours. Put the drawers back in and you are done! This was beyond easy and I could not be more excited with how it turned out. PLUS it only took me an hour to complete since there was no sanding or priming involved. 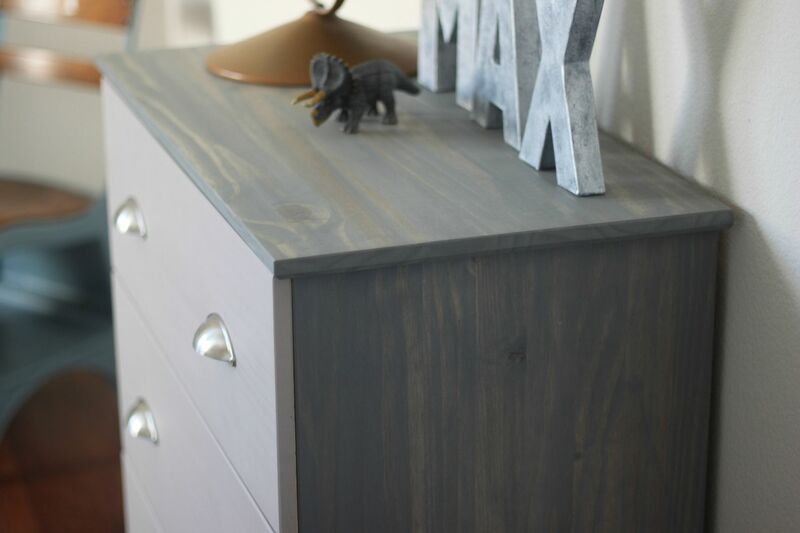 The design possibilities for this dresser are endless! Super cute. 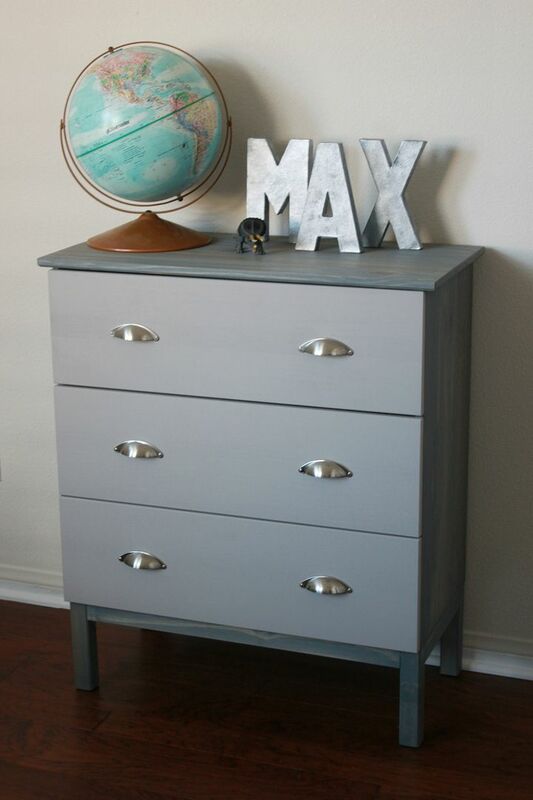 The drawer color reminds me of the paint I used for the dresser and armoire in the kids' room. great DIY dear. That new color is so classy..
Love this! I might have to do this for Noah's big boy room! I saw this before and after and you did such an amazing job! I need to take a furniture lesson from you! ;) xo!